Cleantech Invest has executed a follow-on investment into portfolio company Eagle Filters. The ownership increases from 10 to 28%. In addition, Cleantech Invest has secured options to potentially increase its ownership to 40%. 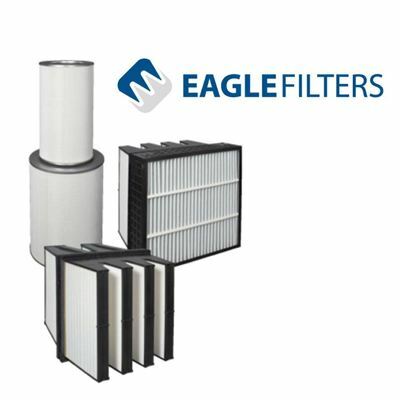 Eagle Filters enables significant energy and CO2 savings for the global energy industry. The company provides high efficiency intake air filtration solutions for gas fired power plants. Natural gas power plants play an important role in transition to low carbon economy, as urban air pollution and CO2 emissions can be rapidly and significantly reduced when natural gas is utilized instead of other fossil fuels. Utilizing Eagle’s technology in existing gas power plants, energy producers achieve savings in the range of 1-3 MEUR per power plant annually and simultaneously cutting CO2 emissions and urban air pollution. The savings are mainly due to increased fuel efficiency of the turbines because of less fouling of compressor blades when the intake air is efficiently cleaned. Eagle’s filtration technology is currently in use in several countries in Asia, Europe, North and South America, and Africa. Customers include large government owned and private energy producers. The technology has in the past 2 years been tested by some of the world’s largest gas turbine operators with excellent results and and these customers are currently considering deploying the technology at scale. Overall, there are approximately 10 000 gas turbines in the world that could benefit from Eagle’s technology, with an annual savings potential of 7,5 billion EUR. In terms of climate impact, this is a target market of approximately 22Mt of CO2 savings each year, equivalent to removing 4,7 million cars from the streets.